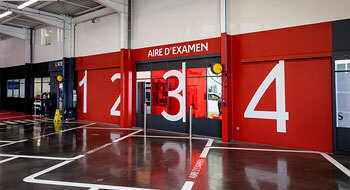 Since 1919, the most important part of Citroën is you. Your life and your desires are our inspiration. From our founder André Citroën to our design studios today, we believe our creativity and innovations must improve your everyday. To achieve our vision, we are INSPIRED BY YOU. We observe your dreams of greater freedom and adventure, of happier moments together and smoother Monday mornings. We then design and build audacious and visionary vehicles, and services that have the intelligence of people’s lives. Being people-minded is our raison d’être. Citroën’s design is based on a unique approach of being bold and standing out. By reinterpreting iconic style codes and details from models from the past, and aiming for simplicity. That makes our range of vehicles very different from what we can see in the streets. Our models are made to adapt your tastes so that your car is really yours. They offer a broad range of personalisation options. From exterior combinations, with different body colours, to match on some models with roof colors, to anodised Colour Packs. The personalisation extends to the interior, with different ambiences that play on light, warmth and refinement. 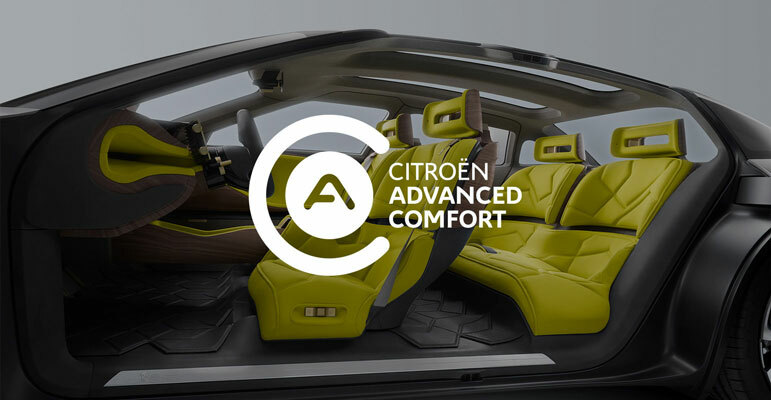 Ever since its founding in 1919, Citroën has been at the forefront of automotive comfort. 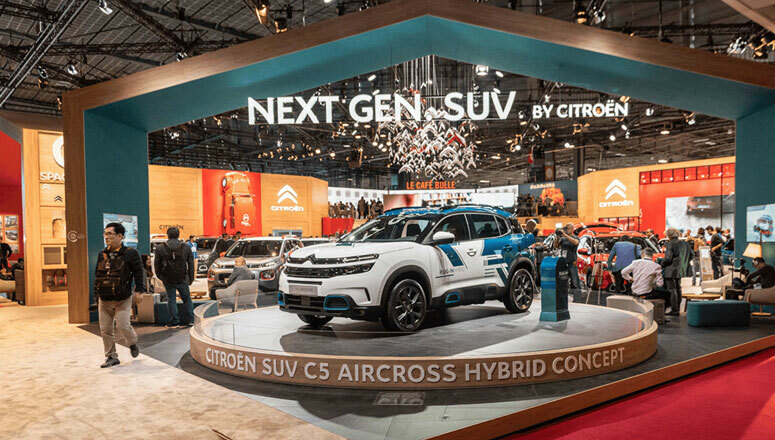 Citroën collects the most outstanding innovation in terms of comfort from the 1934 Traction’s independent wheel suspension to the C5 Aircross SUV’s suspension with Progressive Hydraulic Cushions™. 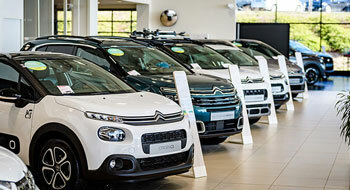 Citroën’s expertise in the area of suspensions is undisputed. 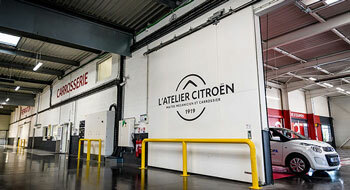 By building on its experience and on the knowledge of its engineers, Citroën has developed the new suspension with Progressive Hydraulic Cushion™. It provides better absorption of uneven surfaces with the aim of creating a ‘magic carpet ride’ effect for you. 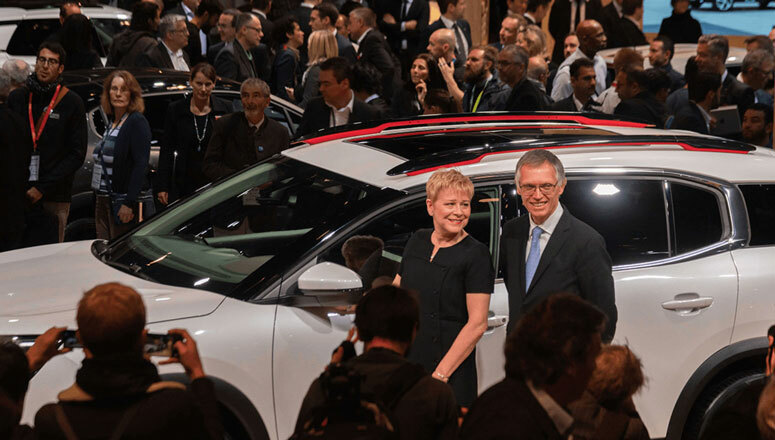 At Citroën, we design technology with people in mind. Our aim is to always add value and developing useful technologies, making driving a Citroën as safe, pleasurable and sustainable as possible. 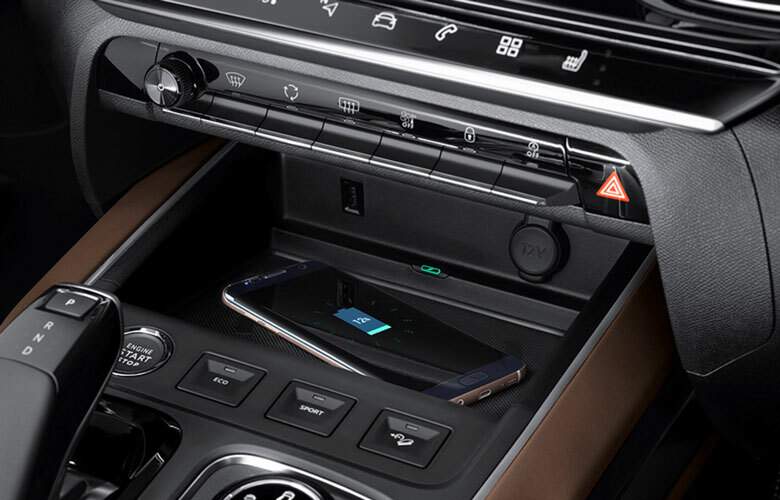 Because we always live with our smartphones and they need more and more energy, this all-new system can be used to induction charge a wide range of smartphones or devices compatible with the Qi standard. 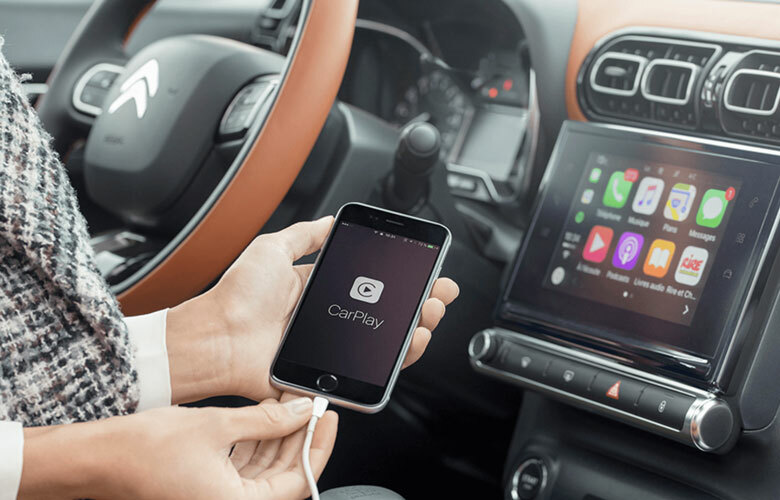 Save time and enjoy your journey with Citroën Connect Nav services: real time traffic updates, fuel prices, parking and weather information and local points of interest. Because your life is hectic enough, Citroën has invented a new suspension concept for an optimal driving comfort. It absorbs bumps and oscillations to provide a ride as smooth as possible. You always want to share what you see? ConnectedCAM Citroën® is a HD camera "made by Citroën" to capture and share on social media what the driver sees through the car windscreen. 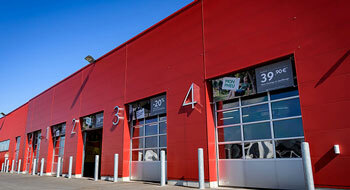 It could also provide a valuable information in the event of an accident. 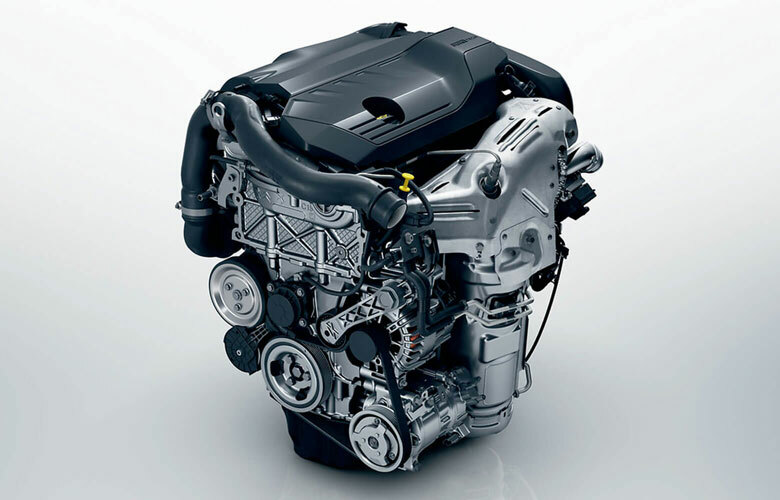 Citroën offers a full range of efficient engines: new compact three-cylinder units that brings reductions of up to 25% in terms of CO2 emissions but also BlueHDi and HDi engines. 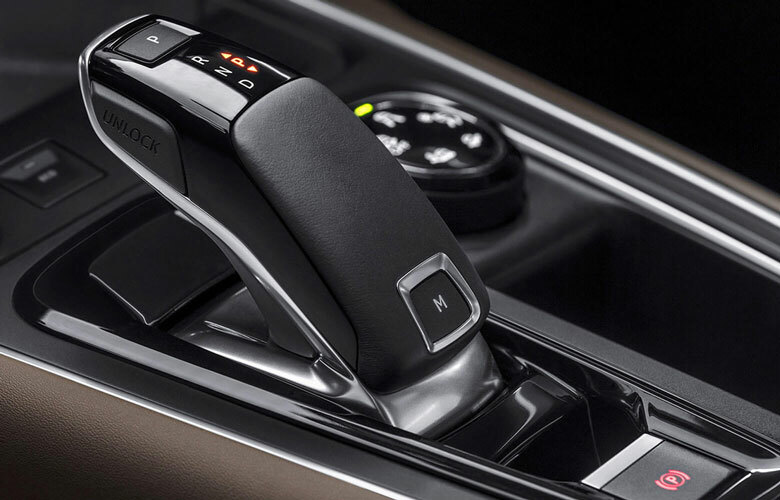 The EAT8 8-speed automatic transmission has been designed to provide high levels of comfort thanks to state-of-the-art technology, allowing for quick and smooth gear changes as well as improved fuel consumption and efficiency. 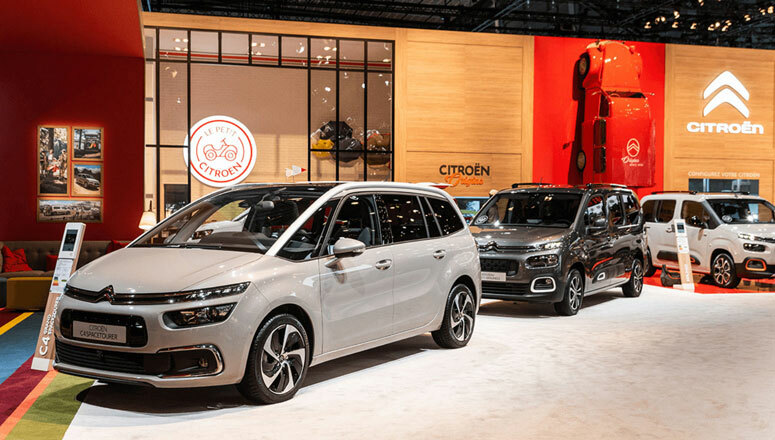 Citroën offers a wide range of services, inspired by the current uses and needs of consumers, by the drivers or passengers, once a week or everyday users. 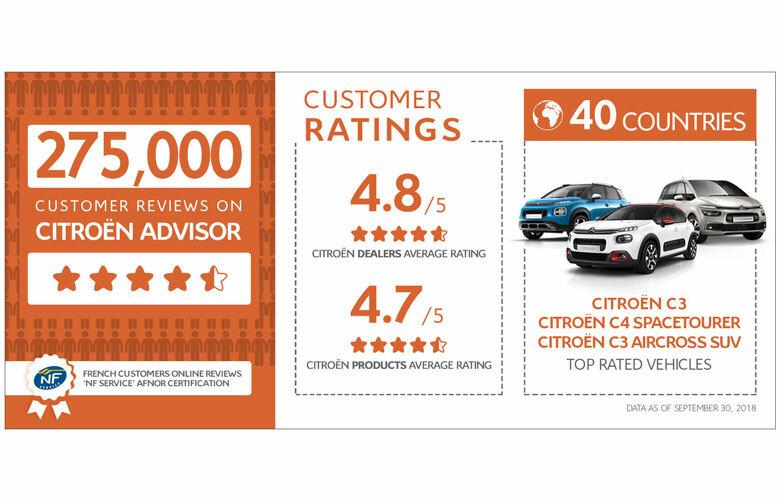 the rating of Citroën cars. A first in the automotive world. Because we know you don’t like to waste your time, we’ve developed a personal assistant to interact with both the car and Citroën services: vehicle geolocation, driving statistics, personalised servicing schedule, making appointments with dealerships, tutorials, Citroën Advisor feature. 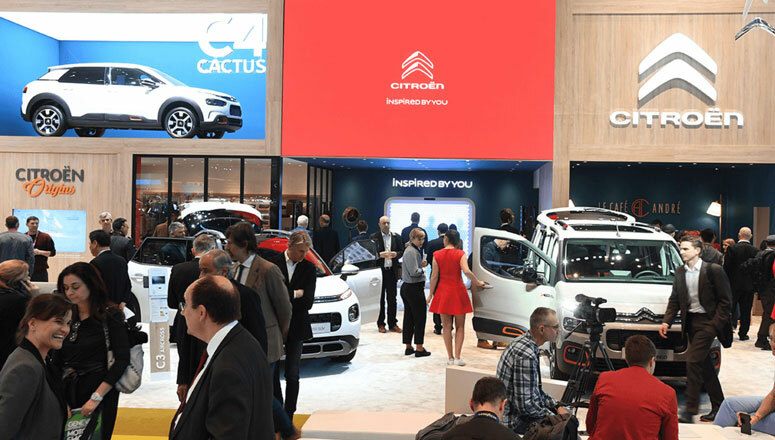 “La Maison Citroën™” is an urban architectural concept developed in order to provide the customer with a truly unique experience. 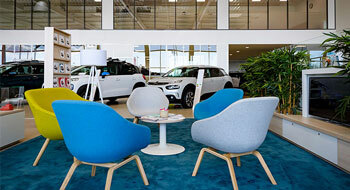 A real living space that’s comfortable, colourful and interactive, this concept can be installed in existing dealerships, in new dealerships in city centres, and in temporary structures. 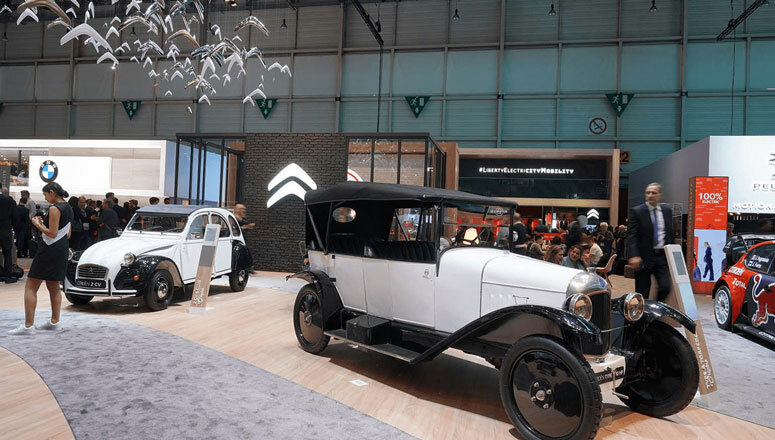 Being present at international motor shows gives Citroën the opportunity to gain recognition, express its values, showcase its unique universe in its purest expression, talk about its history and French heritage, and introduce its new products, technologies and services. 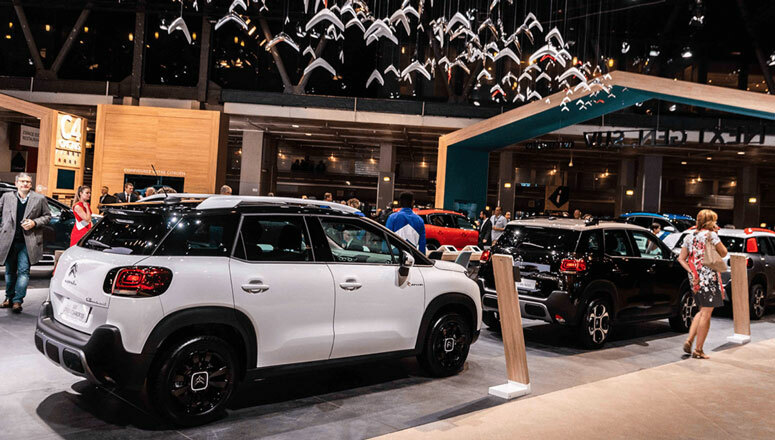 This year, Citroën has won the 16th Creativity Award with its “La Maison Citroën™” stand at the Geneva International Motor Show. 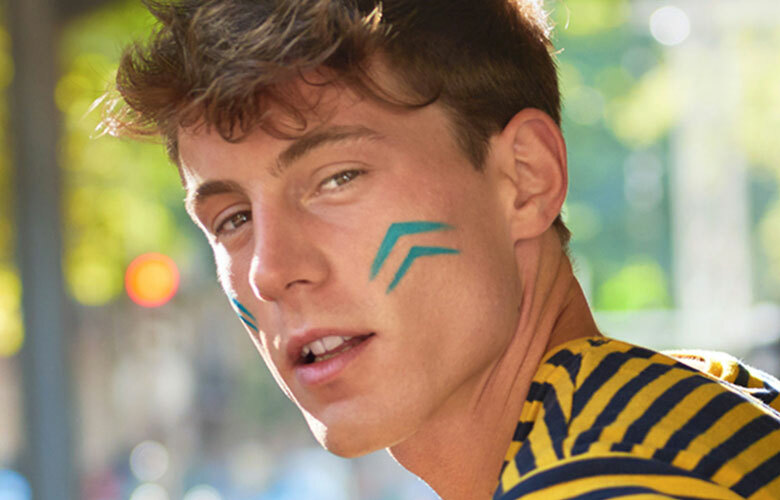 The jury was particularly convinced by the way the Brand’s history and future were highlighted, while keeping the user-friendliness and the quality of the service. A way to pay tribute to Citroën legacy. From the first ever to the newest, find Citroën cars in miniature. 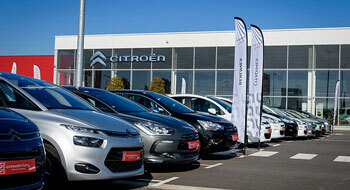 Enter the race and support Citroën’s teams with the selection of Citroën Racing products.